GUWAHATI: Assam Chief Minister Sarbananda Sonowal expressed concern over the recent agitation at Raha in Nagaon district and said the state government will write to the Centre to set up the proposed All India Institute of Medical Sciences there. People of Raha have been demanding that the AIIMS be established there instead of Changsari in Kamrup district. The agitation became violent recently after the police resorted to firing in which a civilian was killed and many others injured. 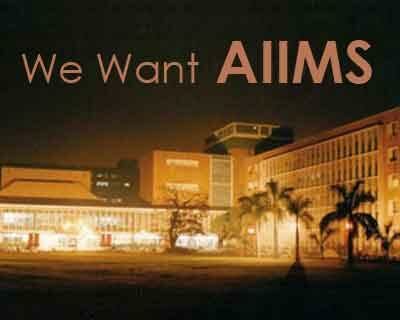 “The decision to set up the proposed AIIMS at Changsari was taken by the erstwhile Congress government. The then Chief Minister of the state had approved setting up of the AIIMS at Changsari and the central government decided to set up the AIIMS at Changsari,” Mr Sonowal said while interacting with the leaders of several organisations. “The government will prepare a draft with full participation of the leaders of the AIIMS Demand Committee at Raha, highlighting their concerns and proposals and send the letter to the central government,” Mr Sonowal said. “The decision to write to the Union Health and Family Welfare Ministry was taken considering the deep-rooted interests involved in the issue and it is the prerogative of the Centre to take appropriate decision,” he said. “The state government is sensitive to the concerns of the people of central Assam and will do the needful,” Mr Sonowal said adding that the people of Assam have given responsibility to the new dispensation which will be fulfilled with utmost sincerity. Condemning the violence in Raha, Mr Sonowal said the state government will show no leniency to anybody found guilty in the incident. The government will take action on the basis of the findings of a one-man inquiry commission headed by Additional Chief Secretary Rajib Bora. He said the government had already paid an ex-gratia amount of Rs. 5 lakh and handed over the appointment letter for a government job to the wife of the deceased. Mr Sonowal also called upon the people of the state to extend support to the government for running the state smoothly.